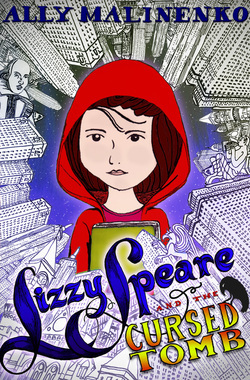 Then Lizzy and her best friend Sammy are kidnapped, awakening in the faraway land of Manhattan. Their host is Jonathan Muse, whose job is to protect Lizzy from becoming the latest victim in a family feud nearly five hundred years old. Could that be why the mysterious, eye patch-wearing Dmitri Marlowe is after her? (Spoiler Alert 2—he’s the last living descendant of Christopher Marlowe, a friend and rival of Shakespeare’s. But keep it to yourself!) Is Marlowe after Lizzy’s family fortune rumored to be kept in Shakespeare’s tomb? Does he seek artistic immortality? Or Revenge (with a capital R) for a death long, long ago? In a dangerous game of cat-and-mouse, Lizzy and Sammy are thrust into the realm of the mythical and fantastic—from satyrs and Cyclopses to Middle Eastern cab drivers and Brooklyn hipsters—in what is truly “an improbable fiction” as the Bard himself once wrote. Ally Malinenko, a self-proclaimed Bardolator, took her first pilgrimage to Stratford-Upon-Avon in 2009 and hasn’t been the same since. 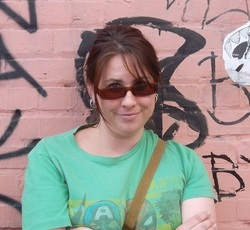 Her poetry book, The Wanting Bone, was published by Six Gallery Press. She blogs at allymalinenko.com. Ally lives in Brooklyn with her husband.